Sharp objects are prohibited inflight and are not to be carried on your person or in your carry-on baggage. Please ensure these are packed into your checked baggage prior to arriving at the airport. Only Dangerous Goods as listed in the IATA Dangerous Goods Regulations (DGR) are permitted to be carried on Network Aviation aircraft. 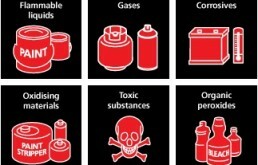 Dangerous Goods in limited quantities according to IATA DGR refers to items that may be carried that contain small amounts dangerous goods that will not pose a threat or risk to the aircraft or passengers when carried in limited quantities. Examples of these items include cigarette lighters, alcohol and washing powders etc. For further information on the carriage of Dangerous Goods please click here for the Qantas website and here for the CASA website. Alternatively please feel free to contact us on 08 9277 8977.